Sebastian is from Winston-Salem and is a graduate of Appalachian State University where he got a BS in Fermentation Science. He loves the science of making good liquor. His favorite drink is a well made Old Fashioned. Leanne is a native of Concord, NC and loves most everything Southern. Her Mama tells her she has a granddaddy who was a bootlegger and she is hoping to make him proud by taking the family legal. She is bossy and tries to keep the boys at Southern Grace on the straight and narrow. 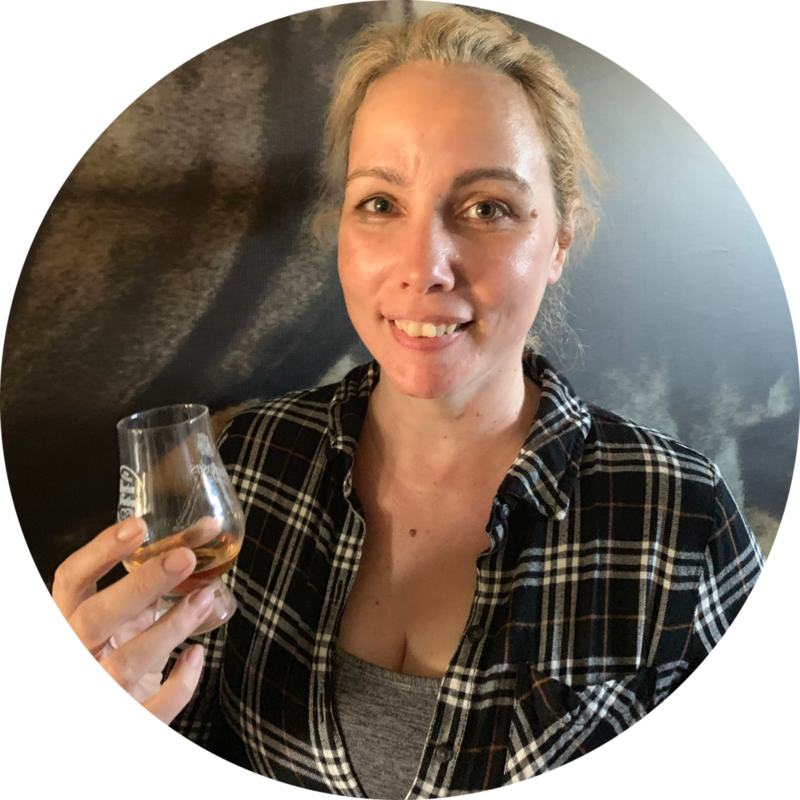 She is a certified Executive Bourbon Steward and her favorite drink is a mint julep. Marty is a native of MN and after years of volunteering at Southern Grace he moved south in 2018 to work full time. 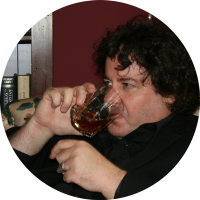 Prior to coming to Whiskey Prison Marty spent nearly 30 years working in the restaurant and automotive industries. Marty is the proud dad of Katie, Tim, Anna and Bleu the distillery dog. His favorite drink is a Conviction Old Fashioned. Taylor spent four years serving our country in the Marine Corps, after which he obtained his Associates degree in Electrical Engineering. He loves that he now gets to produce US made whiskey and bourbon. He is the proud dad of Mia and Chewy the distillery dog. His favorite drink is a perfect glass of bourbon. Emily is a native of Concord and when she isn’t welcoming visitors to Whiskey Prison she can be spotted in town driving her Wolfpack red 1973 International Harvester Scout. She is often found volunteering as a member of the Board of Directors of the Cabarrus Arts Council and working to support Concord Downtown Development and Residents of Historic Concord. She and her husband Ed are parents to Abbie, Maizie, Charlotte and Willow. Her favorite drink is a Conviction and water. Justin has been in the liquor business for the past 14 years. 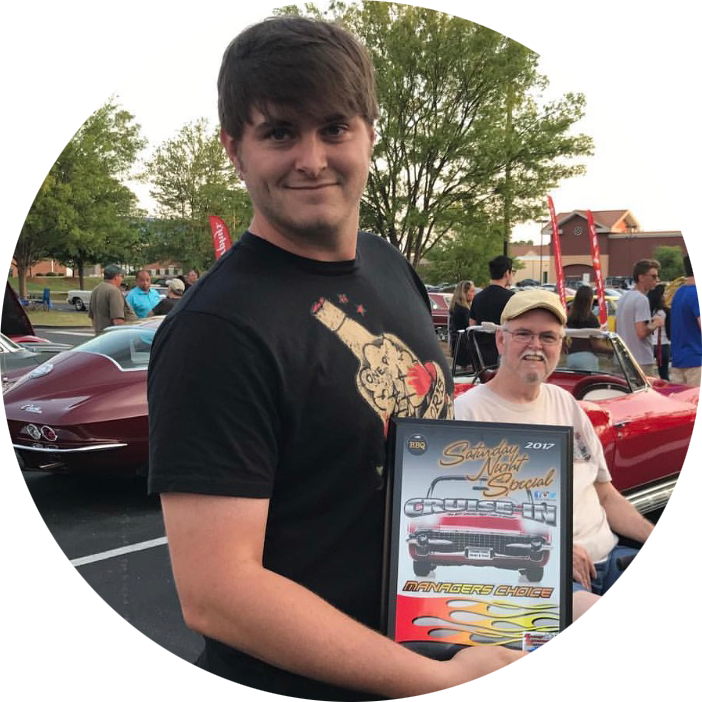 He is a proud graduate of Appalachian State University and when he isn’t selling Conviction Small Batch Bourbon and Sun Dog you can find him working to restore old cars. His favorite drink is Conviction on the rocks. Kelsey, originally from Cape Cod, has been pedaling the hooch for the past decade. When this Yankee turned Southern Belle isn’t spending time with her children, Addison and Juliet, she is sipping on her favorite cocktail, Sun Dog Pink Lemonade on the rocks. Virginia is a native of Mt. Pleasant and is a senior at UNCC where she is studying marketing. She is an animal lover and can often be found volunteering for Princeton’s Meow rescuing cats. Any opportunity that presents itself she is at an Avett Brother’s Concert. She and her brother Marshall compete for biggest fan of the Avetts. Her favorite drink is anything that has Sun Dog Pink Lemonade in it. Chewy and Bleu are both rescues and take their job of protecting Whiskey Prison seriously. Chewy is the son of Taylor, our fermentation director and is clearly the son of a marine. He is very well behaved and looks after Bleu the distillery puppy. Bleu’s parents are Leanne and Marty and they are very grateful to Kreitzer’s Puppy Corral for allowing them to adopt him. Bleu and Chewy aren’t whiskey drinkers, but they do LOVE treats.